I’ve been more than fortunate to enjoy an unforgettable year of travel in 2015! My hope was to inspire you to get out there and explore places near and far. 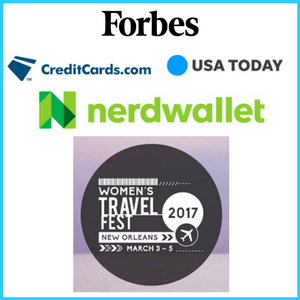 I also wanted to show how you could travel for much less than you thought possible by using miles and points like I do! 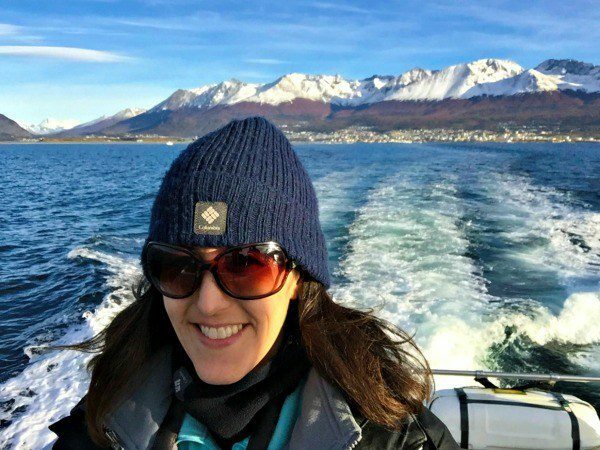 I’ve put together 11 priceless travel reflections of 2015 to share with you. For the first time ever(! ), I took two incredible solo trips. I ventured off to Patagonia in Chile and Argentina at the beginning of April. 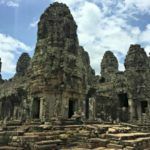 In June and July, I traveled through Thailand and Cambodia. It was beyond liberating to decide when and where to go, what to see, and how long to stay. You live in the moment and can decide something…anything, on a whim. I met so many fun and interesting people while I was traveling on my own. Traveling solo builds confidence and it was no different for me. 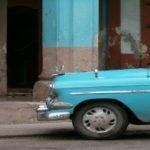 But, I most appreciate how solo travel helped me refine my ability to clearly discern between the fear and self-doubt that can get the best of any of us and an actual gut response alerting you to something real. Solo travel has taken my self-trust to an entirely new level. Hiking to Mount Fitz Roy in Patagonia! I’ve been using miles and points for award travel for several years. Award travel has let me do things like have high tea in London and ski in the Swiss Alps. Up in the Canadian Rockies, I’ve come face to face with a herd of bighorn sheep in Banff and was surrounded by elk in Jasper. I’ve flown like Superman through the Costa Rican rainforest and taken in the sweeping Atlantic Ocean views from the top of Mont Saint-Michel, just to name a few. 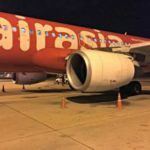 In 2015, my best travel hack was my discounted 1-way to Bangkok. I added the first half of my SE Asia trip to my Patagonia award ticket by taking advantage of United’s stopover on award flights. I flew roundtrip between New York and Santiago, Chile AND added a 1-way to Bangkok on the same award ticket. I saved 20k United miles and only paid $78.60 in taxes and fees for travel between Patagonia, New York, and Bangkok! I’m working on topping this for 2016! 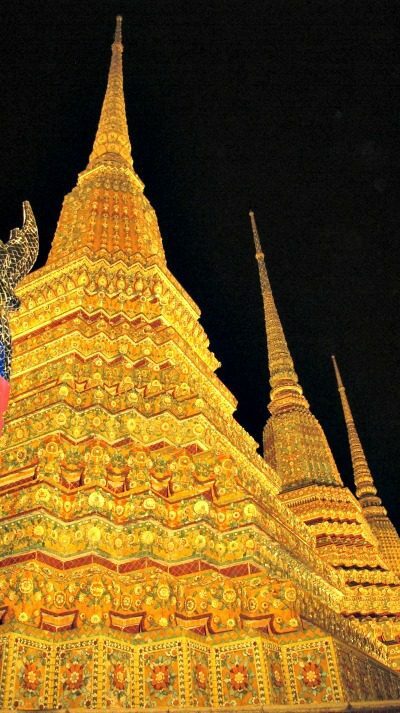 Wat Pho at night is unbelievable! I’m not sure which was better, the stupas lit up or the serenity of having the grounds to myself. As you know, I’m lucky enough to live in one of the greatest cities in the world, New York City. I love being able to walk through Central Park or across the Brooklyn Bridge. I can decide to see a Broadway show last minute or visit the Metropolitan Museum of Art during the week. By far, though, the most impressive local place I visited this year was the World Trade Center Memorial. Indeed, a very sad and difficult place to visit, yet I was so impressed by the Memorial and how well done it was. 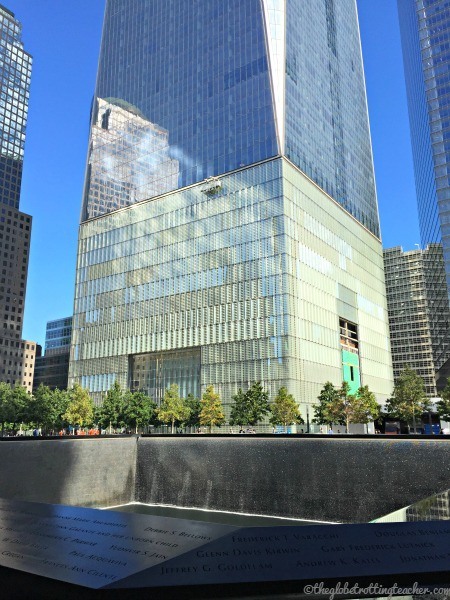 It was a place full of real accounts of that horrible day, photos, videos, and artifacts that both honors the victims and teaches future generations about 9/11. It should be a must on every New York City visitors’ list. The Freedom Tower overlooking the reflecting pools at Ground Zero. Washington, D.C. is under 4 hours by car from New York City and is full of historical sights and museums. Pete and I had been meaning to plan this weekend trip for a long time and finally made time to visit. Washington, D.C. is a budget traveler’s delight because nearly every place is free to visit! I loved seeing the monuments along the National Mall. The Holocaust Memorial Museum was thoughtfully done and especially moving. After window-shopping and having a bite to eat in Georgetown, I loved going past the White House. It sparkled all lit up at night. 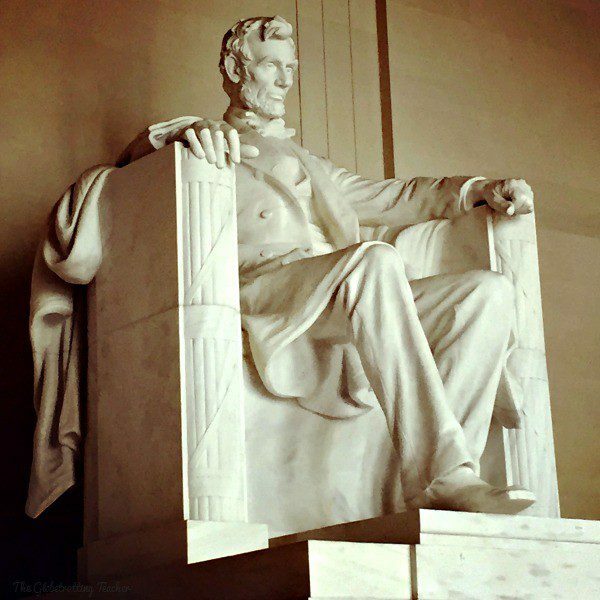 The Lincoln Memorial is a spectacular monument along one end of the National Mall. I earn miles and points for travel every day by paying my bills with travel rewards credit cards, using shopping portals for purchases, and dining programs when eating out. Credit card sign-up bonuses also factor into my travel hacking strategy. I have a specific plan for how I earn miles and points and don’t typically veer off-track. Back at the end of August, though, I was alerted to a 100k American Express Platinum offer by Scott over at MileValue. I had no intention of applying for a credit card at that time, let alone the Platinum American Express. But, 100k American Express Membership Rewards Points was too much to pass up. I was approved and met the minimum spend. Woo hoo! 100k points to transfer to American Express’ travel partners like Singapore Airlines! Maybe I’ll be flying Singapore’s legendary Suites Class after all! Mistakes happen to everyone! You book a return flight on the wrong date. You pack liquid toiletries in your carry-on and have to throw them all away. 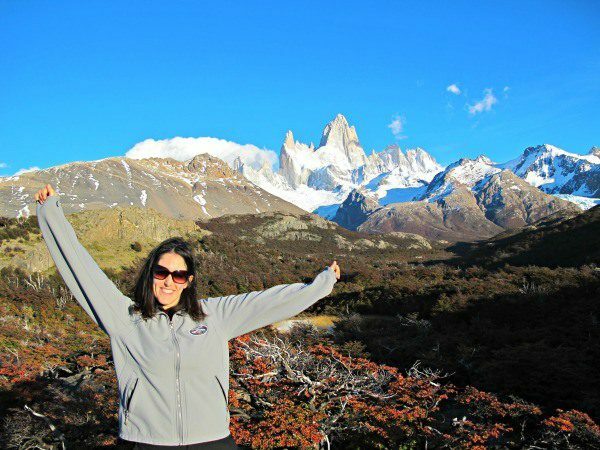 My worst travel mistake in 2015 was forgetting to get my Argentina Visa! Picture it. I arrive at the airport in Santiago, Chile, ready to fly to El Calafate, Argentina, only to be denied a boarding pass. The blood drained from my face and I knew I’d have to figure this out or part of my Patagonia itinerary would be ruined. Luckily, a kind stranger and airline employee graciously stepped in by helping me secure the visa online and continue along without any problems. I am forever grateful for this man’s act of kindness and for showing (yet again) that most people are inherently good. I may not have made it down to the end of the world, a.k.a. Ushuaia, Argentina had it not been for that kind man who helped me at the airport in Chile! My visit this fall to Haiti was by far the most eye-opening and difficult place to see and visit. I traveled there with a few teachers from the school where I teach to work with teachers and students there. The children begging outside the temples at Angkor Wat certainly illustrated the poverty in Cambodia. However, it was nothing compared to the scenes of dire poverty I walked through in Haiti. Basic needs like food and shelter are not a guarantee. Clean drinking water, sanitation systems, and electricity are noticeably absent in many areas. The children I met compelled me to be in the moment with them by appearing completely unaware of their impoverished surroundings. Instead, they focused on getting to know and playing with me and I happily followed their lead. This lesson will be with me always. It was an unbelievable experience to walk among the herds of elephants at Elephant Nature Park in Chiang Mai, Thailand and learn each of their stories. I am a total animal lover and it was absolutely thrilling to feed, bathe, and just be with these incredible animals. I admired their resilience after having survived horrible abuses. I smiled at the unbridled joy they displayed while they played in the river and rolled in the mud at the sanctuary. To anyone who thinks riding an elephant is the ultimate experience, I challenge you to spend time with these animals and truly see how much more wonderful it is to observe them and understand why you should NOT ride them. 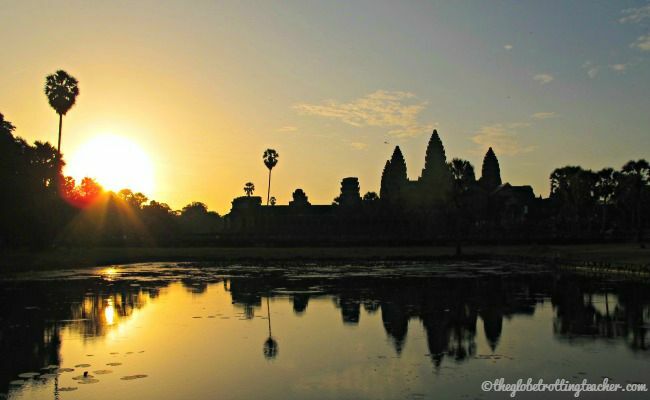 When my alarm clock went off at 4 a.m., I thought surely this must be some cruel joke played on tourists who venture to Siem Reap and Angkor Wat in Cambodia. 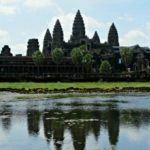 I stumbled through getting ready and only began to come out of my haze as the warm wind hit my face from the back of the tuk-tuk as I sped toward Angkor Wat to see the sunrise. Everyone swarms to this spot to see the sunrise over Angkor Wat and it’s hard not to wonder whether or not jockeying for proper position among a sea of cameras and selfie-sticks at this ungodly hour is worth it. The sun’s first light over the stupas reflecting on the sky above and the pond below quickly silences any doubts. This was such a difficult choice! I’ve been so fortunate to have seen and done so much this year. My thoughts, though, continue to come back to one day. I couldn’t believe where I was and what I was doing. I’m not much for bucket lists, but this experience helped me understand how it must feel to cross something off the list. Traveling by bus to Los Glaciares National Park outside of El Calafate, Argentina, I didn’t fully grasp what I was about to see. On the boat approaching Perito Moreno Glacier and then later when I had trekked onto the glacier to a point where I was totally surrounded by ice, I had to stop and pinch myself as I tried to take the whole experience in. An unforgettable and surreal experience! Trekking on this gorgeous glacier was incredible! I bet you’re thinking what could possibly top Perito Moreno Glacier, in terms of beauty. I thought the exact same as I left the glacier. The hiking in El Chalten, Argentina was absolutely stunning with the fall colors putting on a brilliant show. The Angkor Temples in Cambodia set in and among the jungle were incredible. 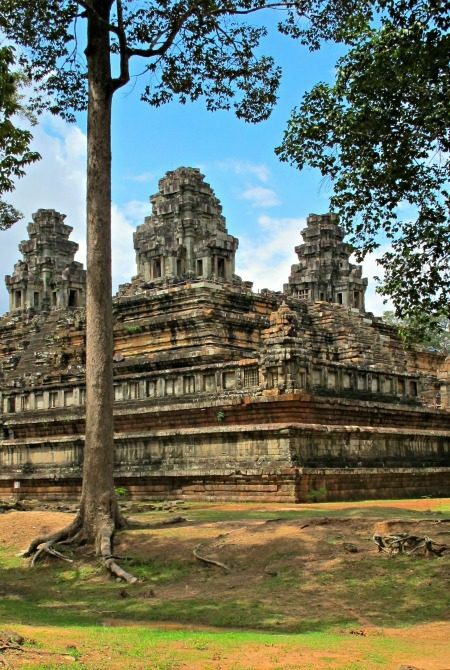 The Angkor Temples were breathtaking, but…. 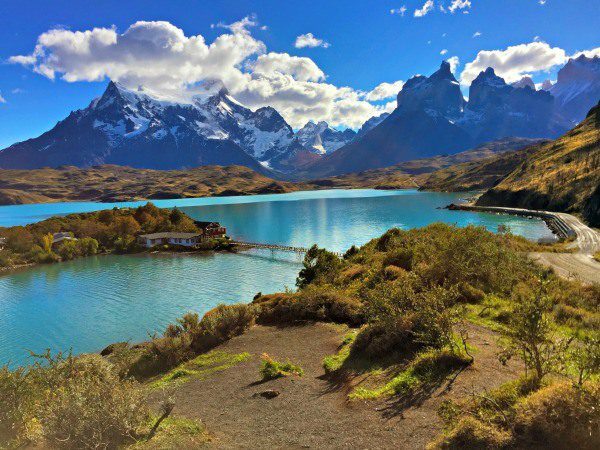 But, Chile’s Torres del Paine National Park is breathtaking and without compare. In 2015, it was the most beautiful landscape my eyes set upon. The world certainly has so many gorgeous places, but I’m not quite sure what could take its place. The mountains, glacier-fed lakes, and arid landscape set against blue skies is dramatic and unrivaled. If I am able, I will return. It’s that breathtaking. 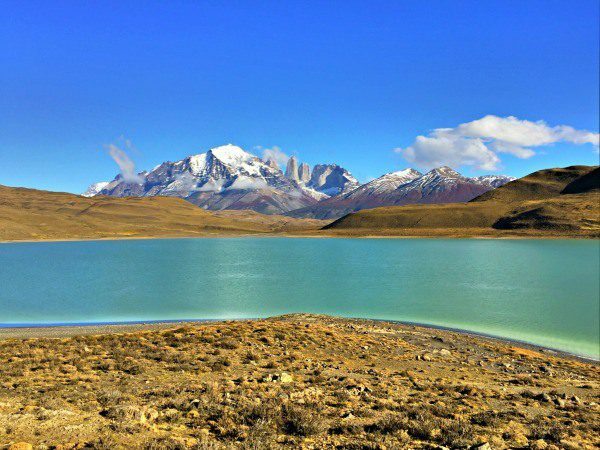 Breathtaking contrasts at Torres del Paine! Thank you 2015 for an absolutely priceless year! Here’s to fabulous travel in 2016! What are your priceless travel reflections of 2015? Oh my goodness, reading this is like compiling a mental bucket list of places to go and sights to see for 2016. 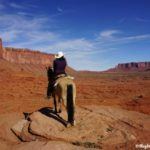 I completely agree with you re: solo travel and building confidence. I’ve been on a few solo trips and always return feeling incredible grounded and sound in knowing who I truly am. The elephant park looks amazing – that’s definitely a life goal. I’ve ridden an African elephant, next up an Asian pachyderm. Your 2016 would undoubtedly be amazing, Miranda! Elephant Nature Park is such an incredible place. I volunteered for several days there. 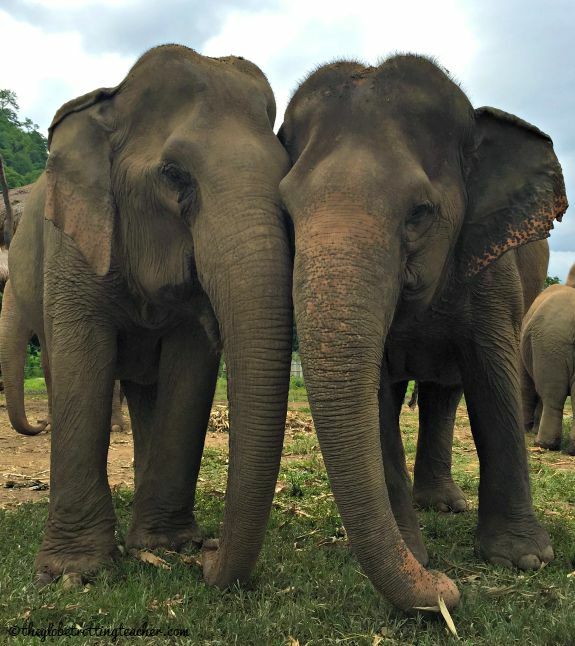 There’s no riding elephants, but rather it’s a sanctuary away from the abuses these animals have experienced in the tourism and logging industries. What a memorable year you had! Both solo travel and experiencing the kindness of strangers are incredibly humbling experiences and you got them both in 2015. Wishing you bigger adventures in 2016! I have to agree with you about Torres del Paine National Park! We were there less than 2 months ago – such an amazing place. Mt Fitzroy and Perito Moreno Glacier are up there as well! Patagonia is a truly amazing place, the scenery is stunning. Angkor Wat is also up there but for different reasons, I am amazed how accomplished that ancient civilization actually was. Thailand is hard to beat, the people and the food make it a great destination. It looks like you had a great year. I look forward to seeing where you go in 2016! 2015 was a fantastic year of travel and I feel truly grateful, Elizabeth. Hoping both of our travels are just as great in 2016! So many things you’ve done this year! Keep up the adventures coming! You be sure of that, Sianna! Looks like you have had a fantastic year. 2015 has finally brought me to Bolivia, Chile and Uruguay and, for the first time ever, to South East Asia. There have been lots of good adventures and experiences as well as some bad ones (I didn’t enjoy lots of places in Indonesia). Looks like you had a fantastic year, too Claudia! Bolivia sounds beautiful. You have to know which airlines have taxes and surcharges and to which areas of the globe they charge them. You never want to use you miles and pay high fees, too. Patagonia! Patagonia! I really need to go. What a stunning place. How long were you there for? Cambodia is also high on my to-do list! I could only stay in Patagonia for a few weeks, Hugo. Unless you’re prepared to stay for an extended period of time, there will always be more to see. I comfortably did and saw fantastic parts of both Chile and Argentina. If I could change one thing, it would have been to spend more time in Torres Del Paine. All the more reason to go back! ? 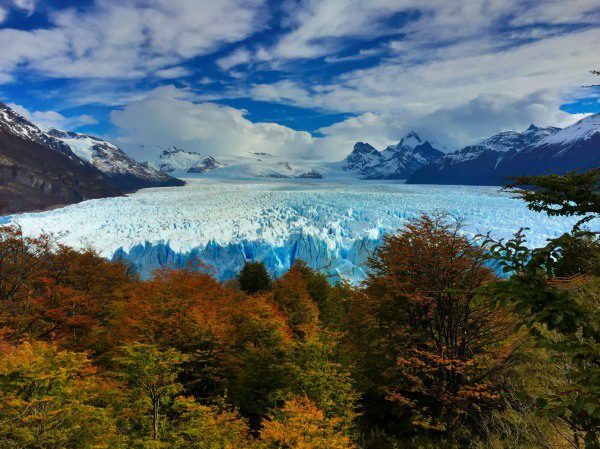 When you make it to Perito Moreno, it will have been well worth the wait, Mar. It’s simply stunning. 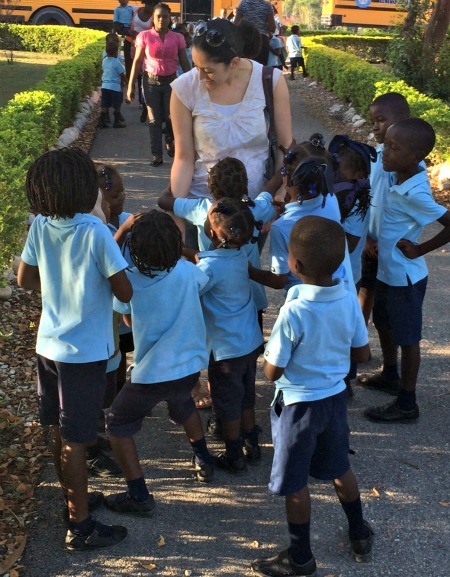 Haiti showed how you can feel helpless and helpful at the same time. It was difficult to take in. Charleston is a pretty place, Fiona! I hope you are able to come back to the US. There are so many pretty spots and fun cities to explore. ? Some great reflections. Exciting to read about your solo trip since I’ll be taking my first one that’s more than just a couple days on my own next year. And very glad you were able to get your visa for Argentina. So exciting to take your first solo trip in 2016! I love traveling with my husband but my solo travel was so rewarding. Enjoy, Megan! You got an awesome travel hack. All of that for under $100 is amazing. And that was really nice of the airline employee to help you get that Visa. I know that was an upsetting situation. It was so thrilling to book those trips with that hack, Holly! I’m a sucker for a great deal! 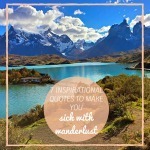 Wow, Chile must be absolutely incredible to visit…it’s on my list! And, yes, you are super lucky to live in one of the most exciting and interesting cities in the world! I want to too!! Chile is amazing, Nina. Definitely, keep it a priority on your list. NYC is such a fantastic place to live. There’s always something to see and do. This is an amazing roundup of your year, Jackie! Truly it seems that you’ve done quite a lot of interesting things this year. Kudos to you for that! 😀 I especially loved the experience you had in Haiti. That must have been really great!